Relentless New York sport, the sad little man who gets his jollies by putting people down, has spoken, so I will give you some stone soup. I remember looking at the first six games of our schedule last year and thinking every one of those teams was a playoff team. Atlanta, the Jaguars, Texans and the Panthers all look less than invulnerable in retrospect. It's simply a league that's difficult to predict. Even so, I bet that you couldn't even invent a scenario for half the league that would get them in the Super Bowl. At least with the Giants I can invent a scenario - even if it's an unlikely one. 1 solid free agent signing for the offensive line + 3 impact defensive players through the draft. I'm reminded of the Ram team that was built around Marshall Faulk and had some brilliant skill players. That Edition even featured a tall tight end with WR skills and breakaway zoom zoom speed. WelL anytime you go into a season with Odel Becham, Saquon Barkley and Evan Ephraim you have a chance. And, all the naysayers to the contrary, I could see where an experienced quarterback, who is good at reading defenses, could be perfect for maximizing that melange of talent. Not a future HOF QB at the end of his career, that's a big difference. Eli last year had 22 td's and 10 IN's . in 2001 Warner threw 36 TD'S. Yes Barkley is similar to Marshall Faulk, and OBJ is better than Issac Bruce. Sheppard is nowhere in his league . The rams 3rd receiver was Az Zac Hakim who had 36 receptions averaging 19 yards a reception . Not to mention the 1999 Rams, allowed the 4th least points in the NFL , is the giants defense going to be that good? 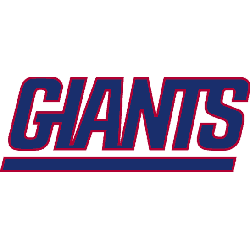 Kevin carter had 17 sacks- who is that guy on the giants ? The Detroit Lions are one solid free agent signing and one impact player through the draft away from winning Super Bowls 54, 55, and 56. The Lions are more than that away. Stafford hasn't even come close to proving he can win when it matters like Eli. You're wasting precious minutes of your life arguing this. They want to believe that we're just a player or two away from past Super Bowl glory. Nothing you or I - or Jesus Christ himself - could say is going to counteract the BS fed to them by the front office over the last year. They're just going to have to see it for themselves once they open their eyes. Ah, yes...2011. President Obama was in his first term, Dr. Dre, Eminem, and Skylar Grey were jamming the airwaves with "I Need a Doctor", and I was still enjoying my 30s. Good times! The sixth grader in me was having the time of my life watching this team that year. Yeah, but now you have a wife, two kids, and a mortgage. Father Time marches on. I'd like to see Stafford on the big stage, but I but I have to tell you, when I solve 54 + 55 I thought of Len Barney, Alex Karras, Rodger Brown and Joe Schmidt. Another fact that gets no consideration here is it this offense averaged 27 points a game for the fifth highest average in the league for that time after the Buy and the insertion of brown at Right Guard. That includes the shutout against Tennessee, and this in spite of horrible offensive line and the obj injury. So it's not outside the realm of possibility get this offense could be varied and dynamic and then all we would need would be a decent defense. That should be obtainable if we can pull 3 Dynamics starters, admittedly a tall order, out of this draft. It all looks doable if you consider it in a vacuum, and then when you look at the Rams, Philadelphia, Atlanta, New Orleans, Chicago, Minnesota, Dallas and one or two more, then it appears much more daunting. Bronx stripes, no one thinks we're one player away. I've made it clear even the best case scenario of 3 impact players from the draft and one free agent, as difficult as that would be to achieve, doesn't necessarily put us there. I'm just saying that it's not impossible as long as you have brilliant superstars at the top of the roster. And I'm also saying that you probably can't even invent a scenario for close to half of the teams. Why that should be offencive to anyone is a puzzle. Another fact that gets no consideration here is it this offense averaged 27 points a game for the fifth highest average in the league for that time after the Buy and the insertion of brown at Right Guard. You're crediting the offense with 3 defensive scores in order to get that 27 point average. You're also not taking into consideration the high number of turnovers the defense generated when playing all those backup QBs. I would also add that a Bears defense that gave up 30 points to the Giants, then 6 to the Rams may have more to do with how much effort the Bears gave in that game than in the skill and talent of the Giants offense. But we've been overrating the Giants for 7 years, so this isn't anything new. You can "invent" a scenario for every single team with a QB. The NFL is a league of parity and even the worst teams are only 3 or 4 players away from being one of the better teams. Once again c a l l i, I don't disagree with your conclusions just your method and singularity. The fact that you ignore or pervert any detail that doesn't agree with you in an almost desperate attempt to be right. So you give us a detailed analysis covering the receivers and leave out Evan Ephraim and the comparison to some bloke who was a non-factor. Wait, I think I know who Kevin Winslow was...the son on "Family Matters", right? Well, there you have it. Move over Lombardi, all the Giants need are better players. Hope 31 other teams aren't thinking the same way.